The fate and whereabouts of the four would-be “Brides in White” taken in by Syrian President Bashar al-Assad’s security agents in a Damascus souk last Wednesday remain unknown (see my post yesterday). 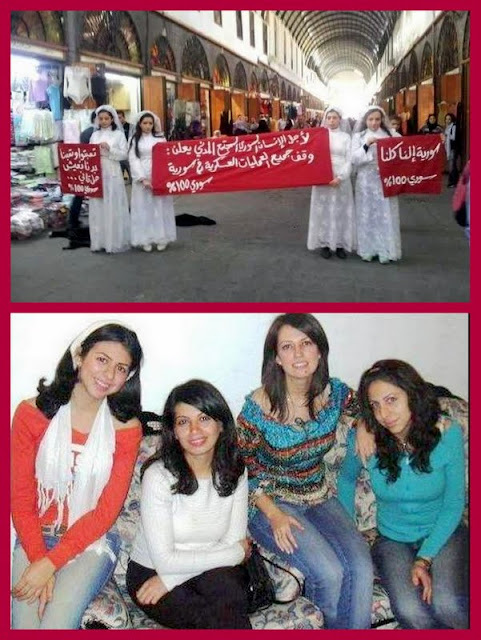 The four bachelorettes – Kanda and Lubna Za’oor, Ru’a Jaafar and Rima Dali – were detained as they paraded in typical white bridal gowns in Souk Midhat Pasha with banners calling for peace. A video showing Rima holding the banner in front of cars with women passersby applauding her went viral on YouTube. 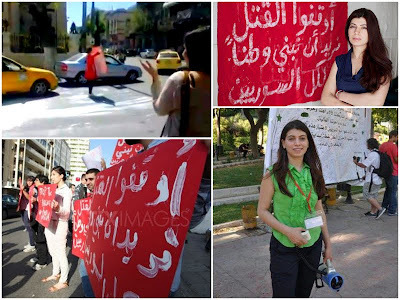 For this, she was arrested but released within 48 hours after Syrian cyber activists organized a bold real-life protest by meeting on the same intersection she had stood at, holding banners with the same slogan. 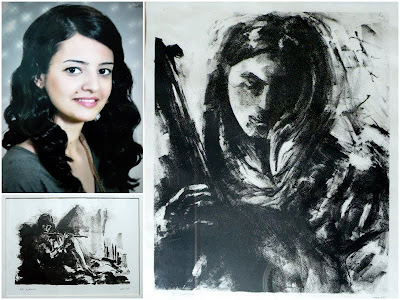 Ru’a Jaafar, another member of the quartet, turns out to be a talented painter. Unfortunately, I have been unable so far to find snippets of information about the Za’oor pair, Kanda and Lubna.